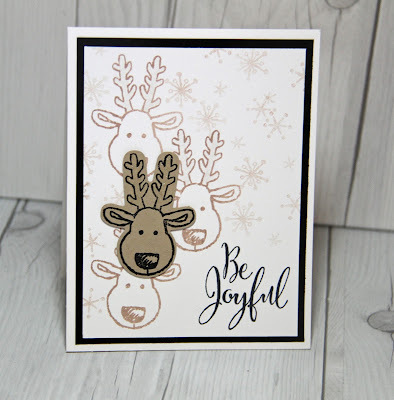 I'm having a blast playing with this Cookie Cutter stamp set and its matching punch. These cards go together so quickly! I'm using a similar technique to create the background on all three cards. While I stamped the background at full strength, you can create a lighter effect by stamping off before stamping the background image. 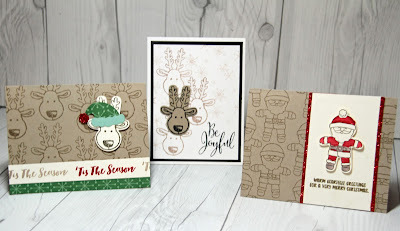 I’m working feverishly to finish my Christmas cards before my Occasions Catalog Pre-order arrives early next week. Here are three cards I created today. 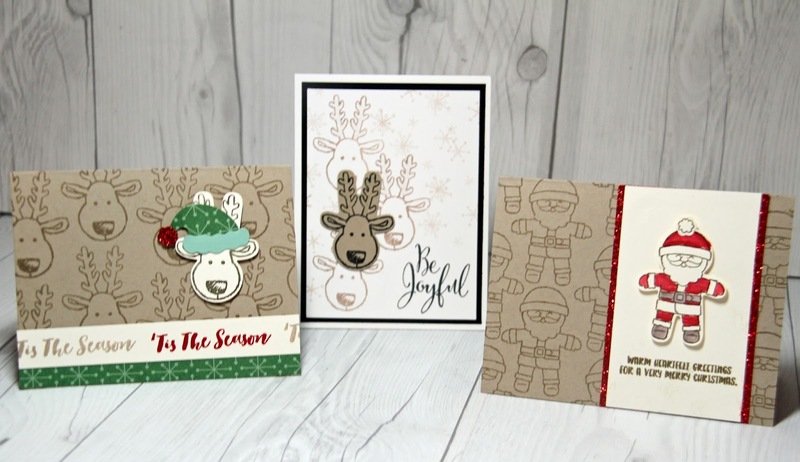 All three cards use the Cookie Cutter Christmas Bundle AND THE BUNDLE IS ON SALE!. Check it out in the Bundle links in the Quick Links Below! See close up of each card below. This card continues the Crumb Cake used on the other two cards, and the background is Whisper White. 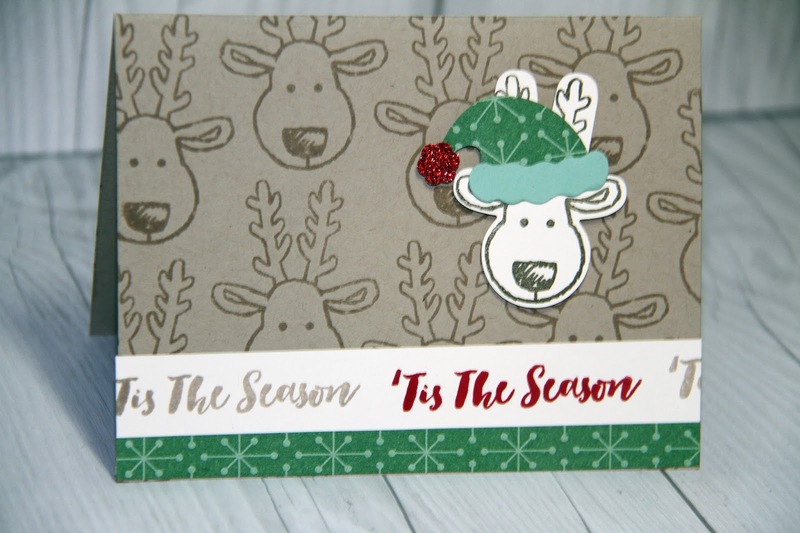 The sentiment is from the Christmas Pines set and the stars stamped on the background are from Snow Place set. The sentiment is a repeating sentiment stamped on a strip of Very Vanilla in Crumb Cake and Real Red Ink. This card makes me laugh. 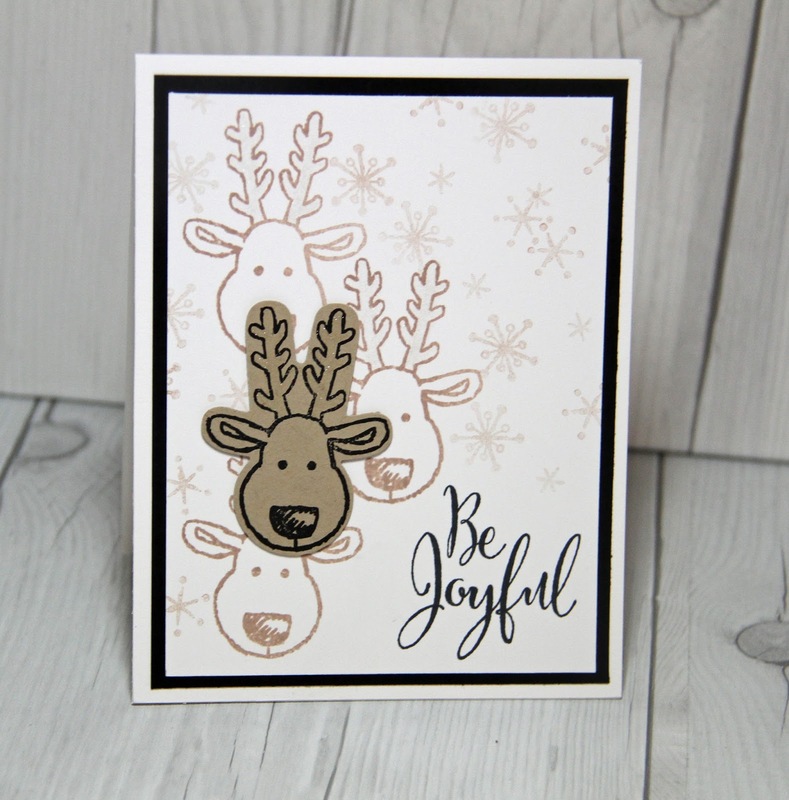 I think this reindeer has such a goofy look on his face. 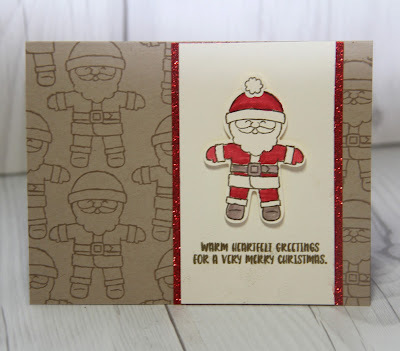 This card uses the a sentiment from the Christmas Pines set. 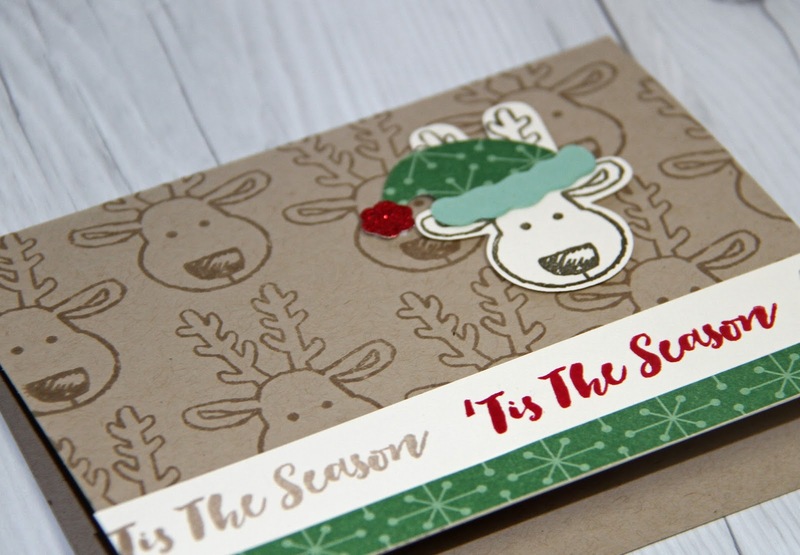 It is used as a repeating sentiment stamped on a strip of Very Vanilla in Crumb Cake and Real Red Ink. This card makes me laugh.